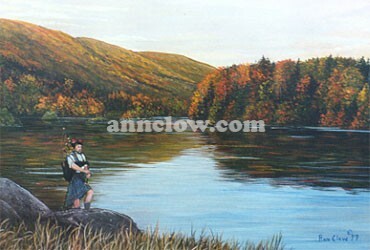 Highlander This painting is of the highlands of Cape Breton, N.S. It is one of the most beautiful and scenic places in the world. The culture and music of the Scottish people reflect its heritage.